Minibrowser example demonstrates how to use the Qt WebView module with Qt Quick. 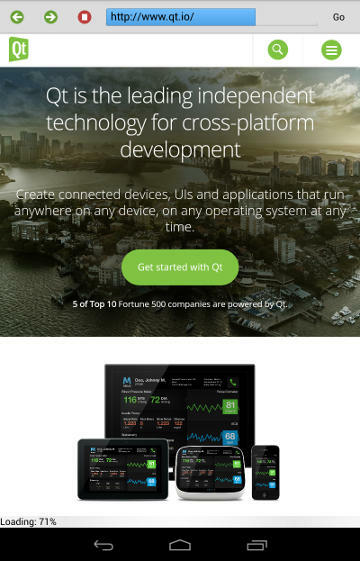 Minibrowser uses Qt Quick Controls and Qt WebView to provide basic browsing experience. Besides the addressbar for the URL, it has a couple of controls to navigate through the browsing history. Note: When using the Qt WebView module it is necessary to call QtWebView::initialize() right after creating the QGuiApplication instance. Calling QtWebView::initialize() will ensure that the necessary pre-setup steps are run.